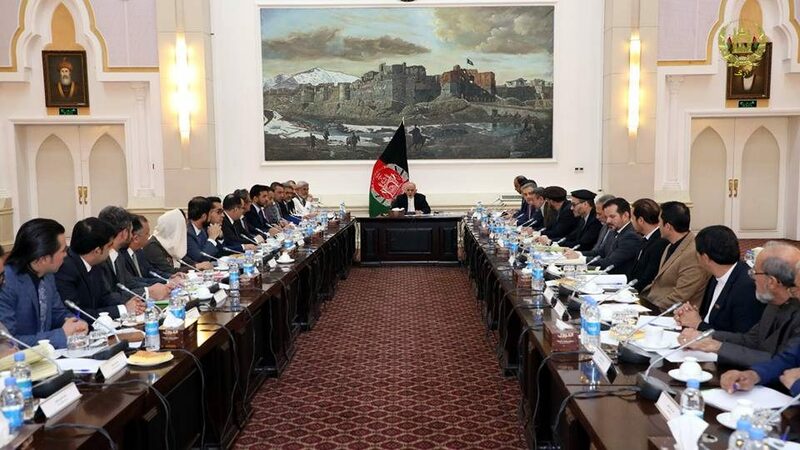 KABUL: The High Urban Council with President Mohammad Ashraf Ghani on the chair held session here yesterday and approved master plan for Khost province that included, Mosques, stadiums and dormitory for students, a statement from the presidential press office said, adding the session also emphasized on solving of problems of industrial park and the provincial airport. The president instructed Khost municipality to closely work with private sector on implementation of the complex, adding residential houses needed to be considered for people of Khost as well. Hinting to natural resources of the province, the president said exporting of pine nuts to be started to foreign countries next year, asking ministry of mines and petroleum to work with local organs and prepare a draft on increasing of investments in Khost province. Meanwhile the officials of the ministry of urban development and housing briefed the session on current works of Peerozi township, carpet weavers of Hairatan and Kunduz, Darulaman complex, fifth Microrayon, Gulestan township and Ghazni province, assuring further works on the projects. According to the ministry, construction of around 7 pre-fabricated school buildings to be completed, adding another 28 schools are under construction and 38 other buildings of which are in designing phases. Hinting to Darulaman Palace, the session emphasized on using of the domestic raw materials while implementing the project. Meanwhile the president emphasized on construction of buildings considering Afghanistan’s traditional architectural style, adding the two first floors of the Darulaman Palace to be allocated for historic museum of Afghanistan. The president emphasized on key role of the private sector in construction affairs, instructing the line ministries to see ways for their involvement of the project. The president also hinted at capacities of the ministry of urban development and housing, saying the existed capacities of the universities should be considered and the students should be provided practical works.